Many commuters like to live next to a major road – but one Chinese couple have gone one step further and live in a house in the middle of a highway! 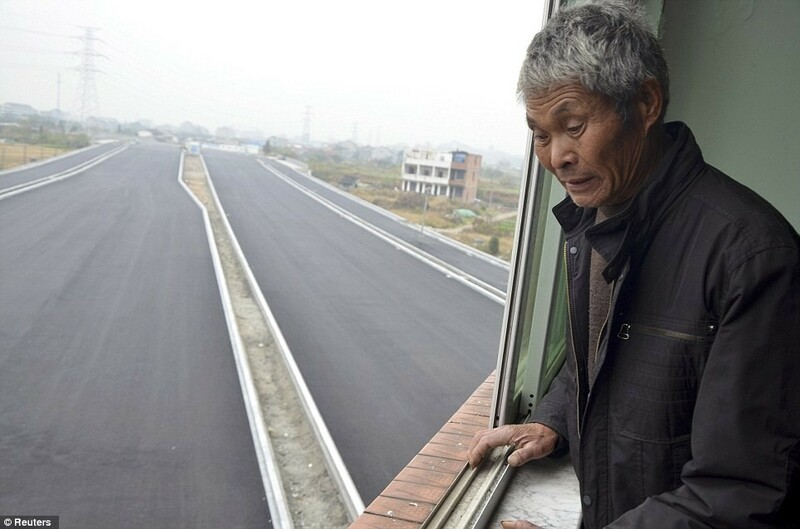 In fact they are not commuters but a stubborn elderly couple who refused to move house when the authorities wanted to build a new road in the city of Wenling, in Zhejiang province. 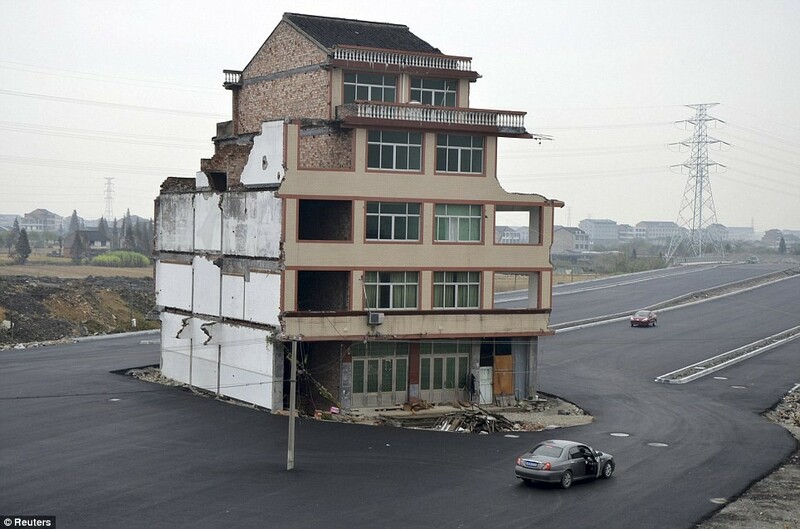 The five storey apartment block now stands lonely in the middle of the road and motorist have to drive round it! Luo Baogen and his wife refused to leave arguing that the relocation compensation they were offered was not be enough to cover their rebuilding costs.